Our Train Like a Girl Challenge just ended and we have a winner! 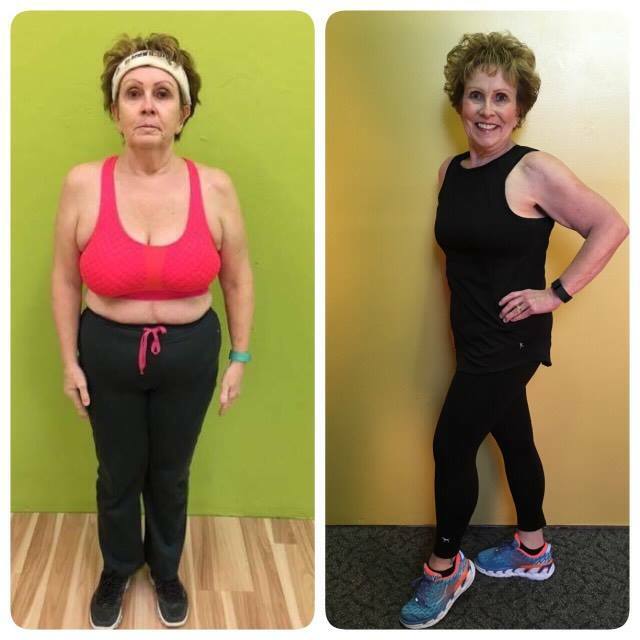 I'm really excited to tell you about this story, because this woman has worked so hard and looks amazing! "This challenge has been a good one for me. I truly like the discipline and rigor that the challenges bring. I love knowing what I am going to eat and having it prepped and ready. Trips to the pantry to see what is available for a quick snack to graze on are in my past. Making the commitment to get up early and attend boot camp was the hard part but rolling out of bed at o dark thirty to be at boot camp at 5 isn’t always easy but I do it. This has been excellent for my self esteem, knowing I am in better shape both health and fitness wise make me smile. This journey is for me - not for what anyone else thinks or says. It may be my new attitude but it is my perception that when I walk into work in the mornings there are people that smile and say good morning that didn’t seem to want to look at me or give me the time of day before. It is much easier to say no thank you to folks that try to talk you into having a donut or sweet treat with them. The support and encouragement given at boot camp are much appreciated too. I am still adjusting but am loving the “new” me!!!"